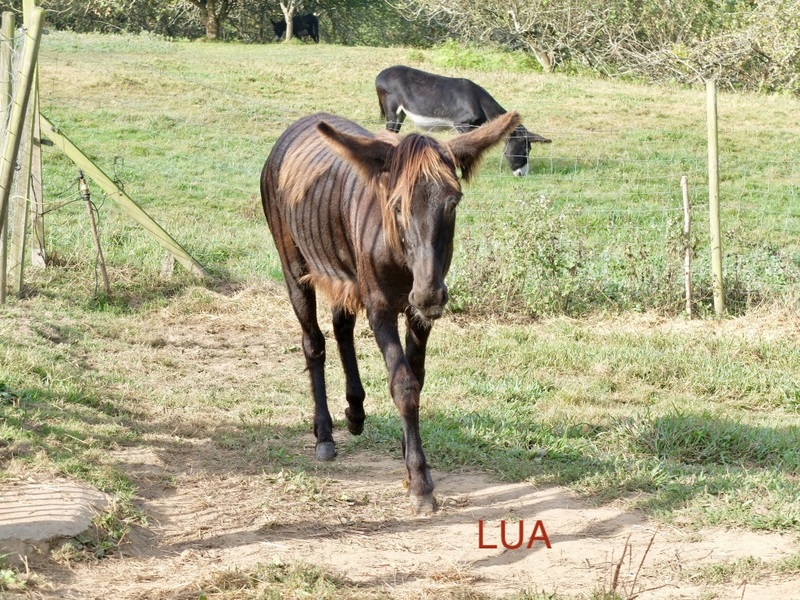 Lua arrived in July 2018 from Asturias. 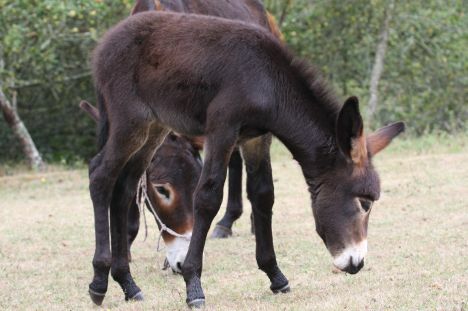 She is a young donkey with a rather attractive hairstyle! She is friendly but also a little afraid. 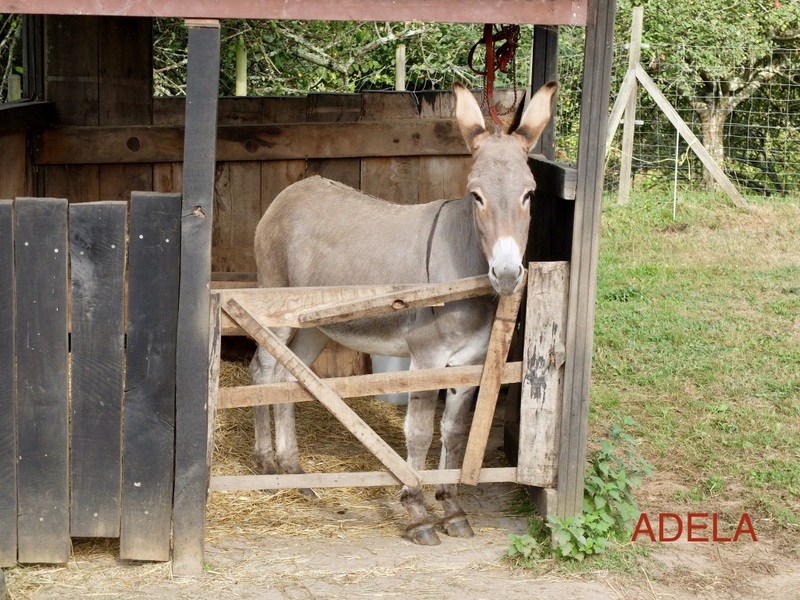 Adela is a very beautiful donkey who came from a loving home in Cantabria. Unfortunately, her owners could no longer keep her due to a change of circumstances. She arrived in July 2018 and she is a real princess who loves cuddles and attention. Pantxo arrived here on the 10th of February 2018. He came from Bilbao where he was living in an industrial zone with no shelter from the bad weather. 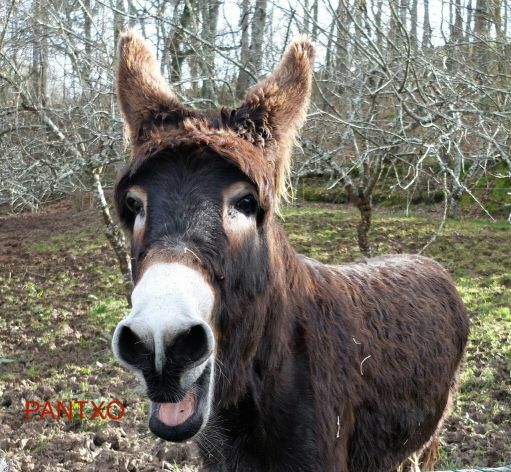 He is an intelligent donkey with a very expressive bray! 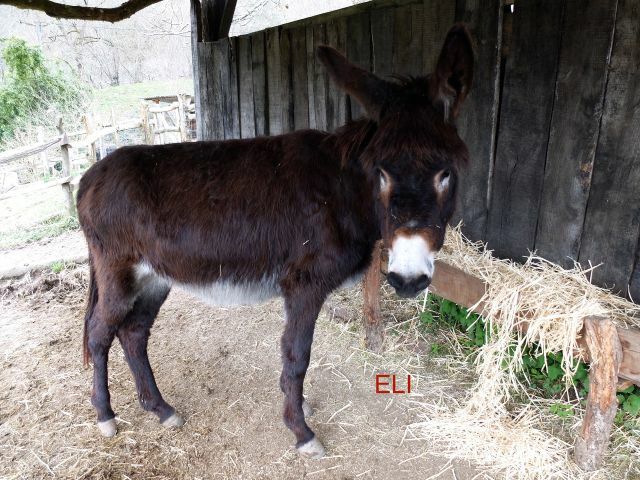 Eli is a small brown donkey. 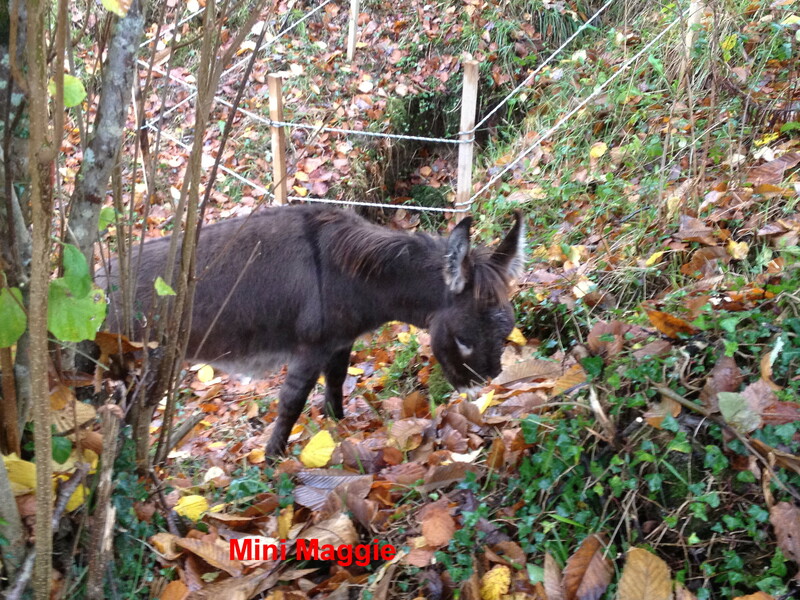 He is rather timid and shy but has settled in slowly and is happy with the other donkeys. He arrived in December 2017, having come from an animal dealer. Lola is Añes best friend. 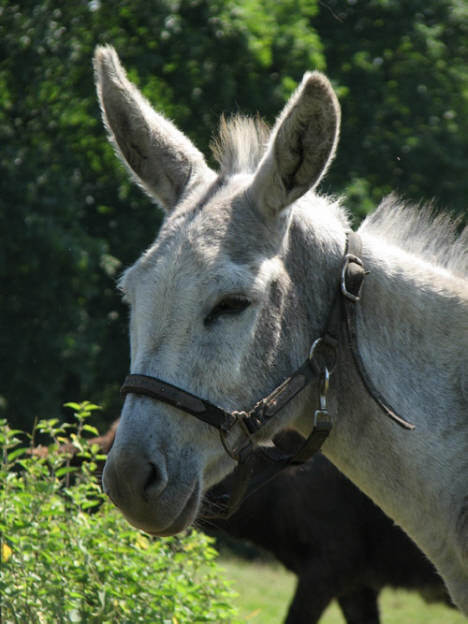 She's a friendly, middle-aged and handsome donkey without any hoof or leg problems. Añes Lola's best friend. Very friendly but always hungry. 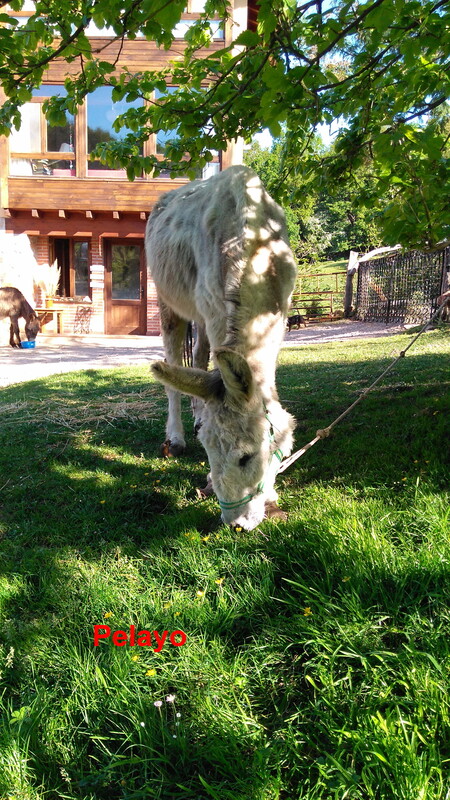 Cuca spent two consecutive years in the Donkey Paradise with her daughter Mini Maggie. 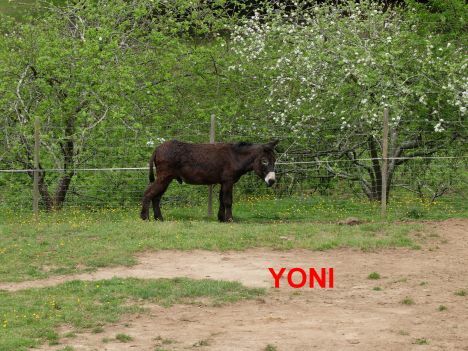 When it was time for them to go back to their owners, a bear appeared in their village and the donkeys then decided that they preferred to stay forever! They feel happy here with all the other donkeys. Mini Maggie Mini Maggie (formerly Rebecca) lives here with her mother Lola and she is inseparable from our young male, Roco. 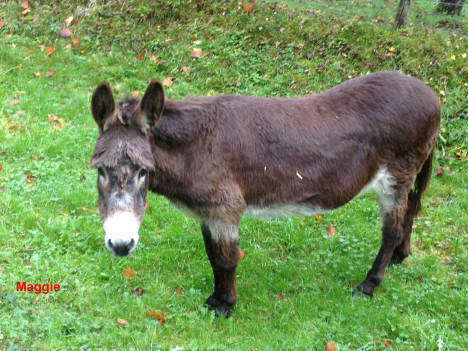 In a small coastal village lived a lonely donkey in a big meadow. His name was Pelayo like the Asturian hero who beat the Moors, long ago. 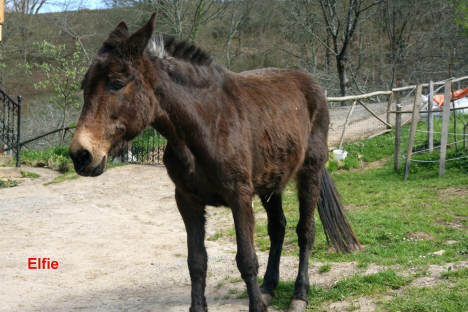 Pelayo had been left behind when his owner moved to an old people´s home and nobody took care of him. On arrival his hooves measured more than 40 cms long and he could hardly move. 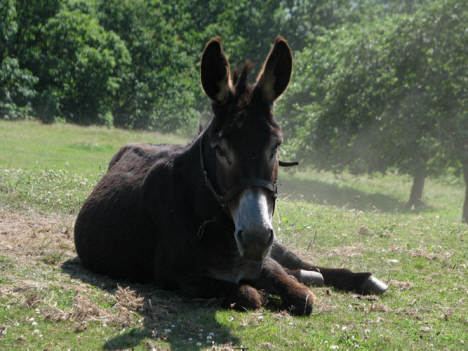 Jane is an elderly female donkey who narrowly escaped a cruel fate. She is rather small, but has a mighty strong and easily recognizable bray. She had not been taken care of well and was in a rather bad state when she came here. It was love at first sight between Pelayo and Jane. 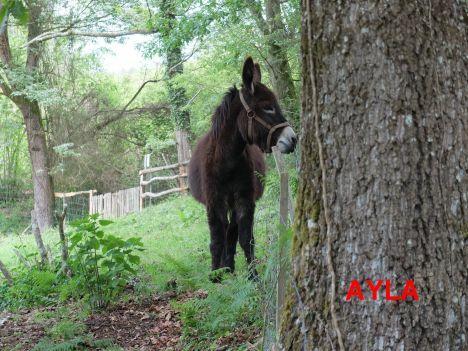 Ayla Ayla is one of five donkeys rescued in April 2016 from very poor conditions. 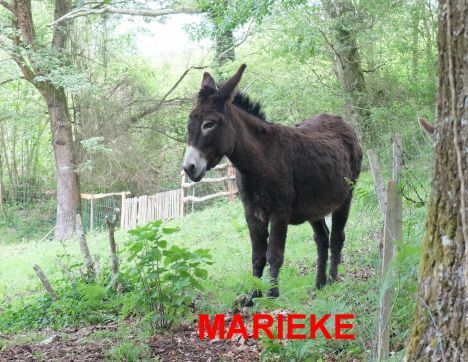 Marieke Marieke is one of five donkeys rescued in April 2016 from very poor conditions. 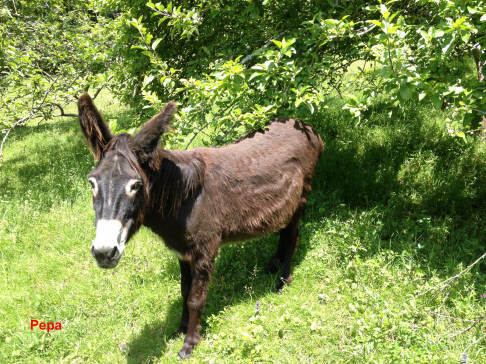 Yoni Yoni is one of five donkeys rescued in April 2016 from very poor conditions. 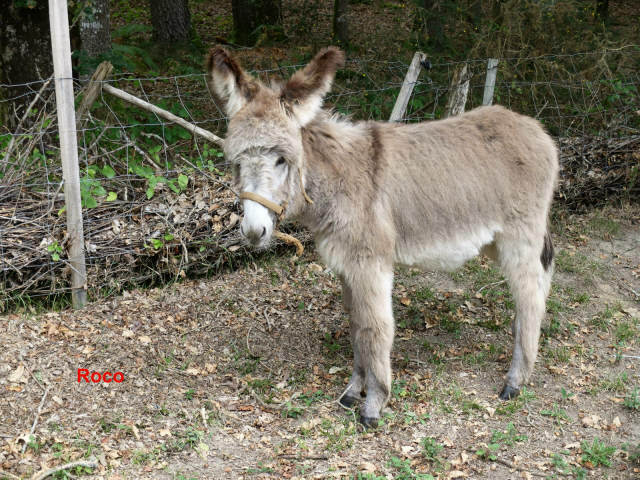 Roco arrived here in early September 2015. He is very young, rather shy and extremely cuddly – he looks rather like a small furry bear. Rosie has taken on the role of foster mother. 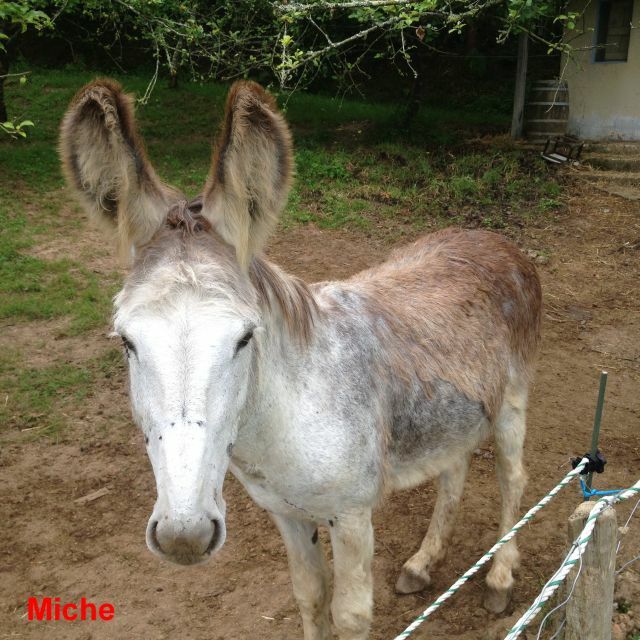 Miche is a very friendly donkey who was abandoned in Gijon near to the coast. He is quite young and strong. He has already broken down a fence in order to get to the females! 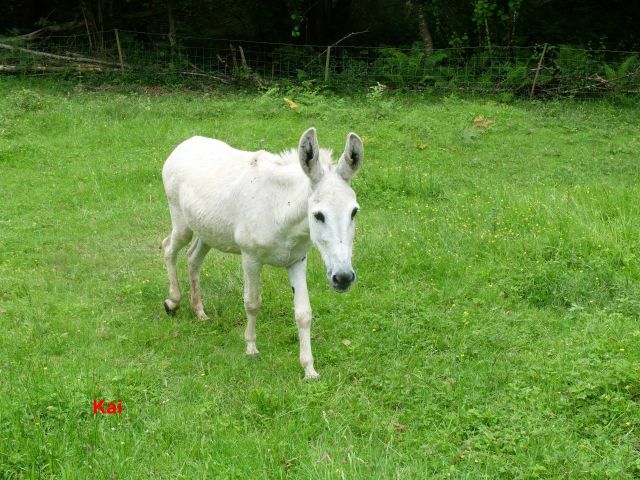 Kai is a handsome, very white, donkey who came here after his previous owner sadly died and there was no-one else to look after him. 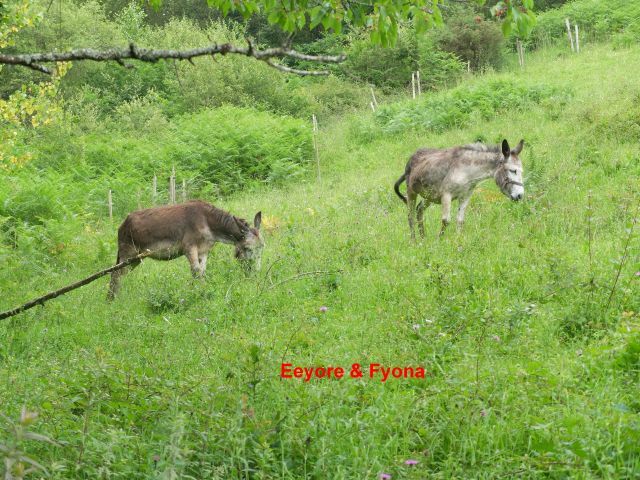 Eeyore and Fyona were in adoption to a young couple who loved them dearly. Unfortunately, they had to move away and could not take the donkeys with them and so these two ladies will now live with our donkey family. Burri y Burribu are mother and daughter. 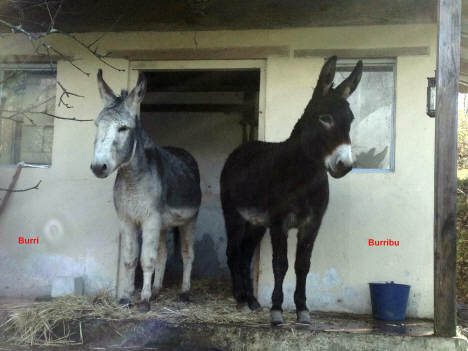 The previous owner bought Burri at a cattle market because she pitied the little shy and timid donkey with the skin wounds and took good care of her. 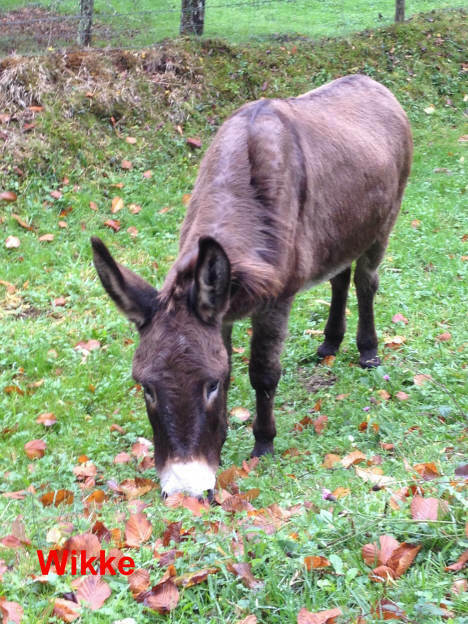 Later, she invited a handsome male donkey to visit and a year later, Burribu was born. Now, eight years later (2015), the two are inseparable. 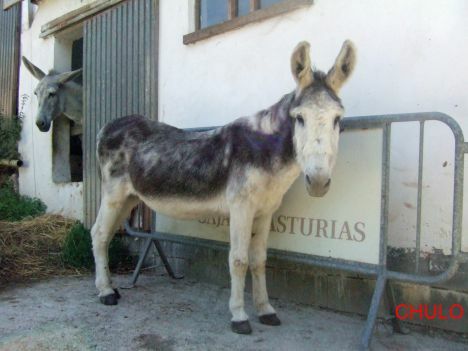 Chulo - also sometimes called teddybear, is the loveliest little fellow of a donkey – he looks young but isn’t and he worked very hard all his life! Maggie we call "Munchy Maggie" because she is crazy about food and even wants to jump into the trough when she is waiting for her food. When she wants to enter the stable, she justs kicks onto the door until we come running to let her in. 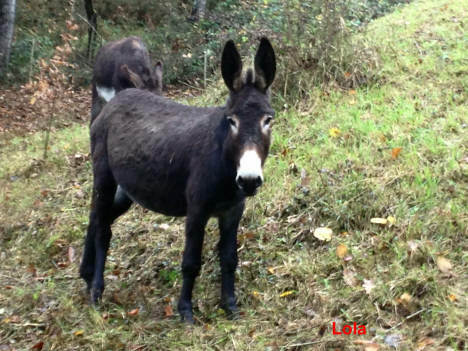 A small black donkey with a rather fat neck - that is our Pepa. She arrived here in 2013 and should have lost a little more weight than she actually has but she loves to eat and is ravenous! Wikke arrived here in the same wagon as Maggie and since then she has followed Maggie around as if she were her Guardian Angel. She used to be very shy but not she can be touched, just a little, before running away to hide. 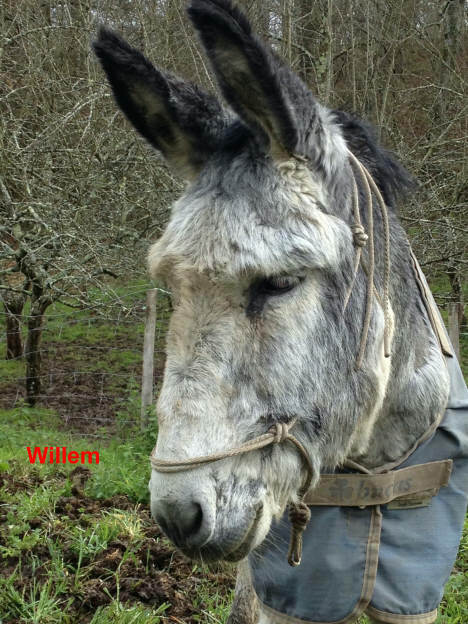 Willem was about to be sent to the slaughterhouse but now he can spend the rest of his life relaxing with his friends at the Donkey Paradise. He joined us in March 2015. 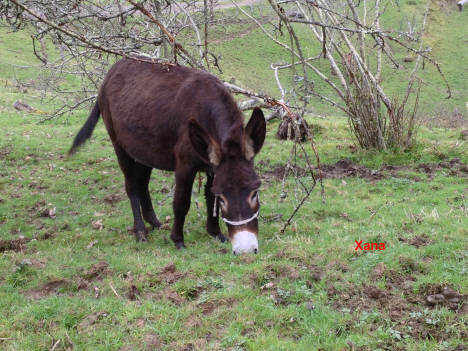 Xana is a lovely, rather timid lady donkey who will give birth very soon. We are looking forward to that moment with great excitement. Franka was born in August 2015. 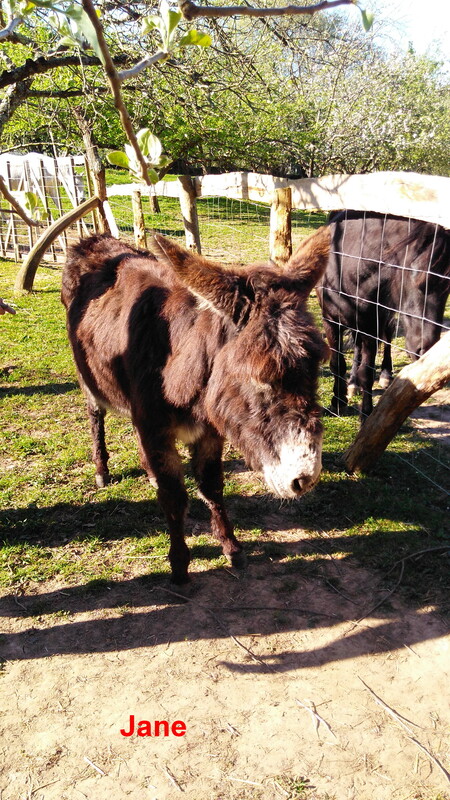 She is the daughter of Xana and is the first donkey to be born at the Paraiso del Burro. We are very proud of her.